Just another easy recipe. 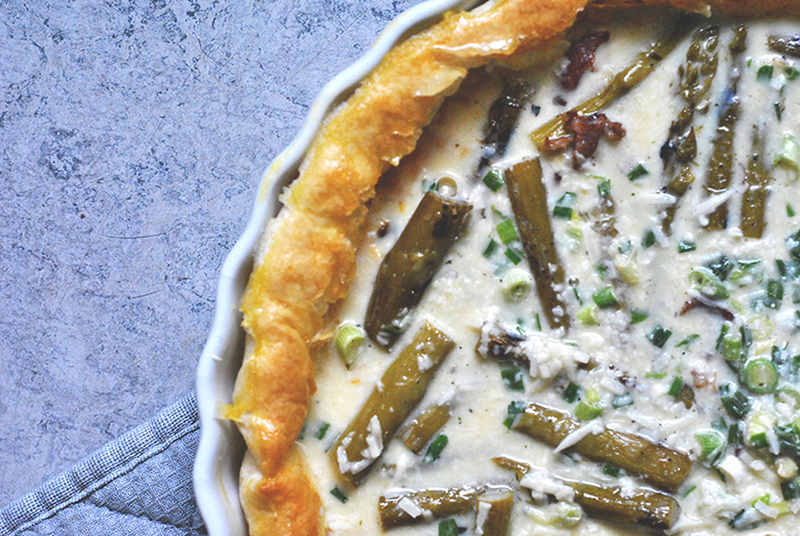 Eat this tart for lunch served with a crisp green salad. 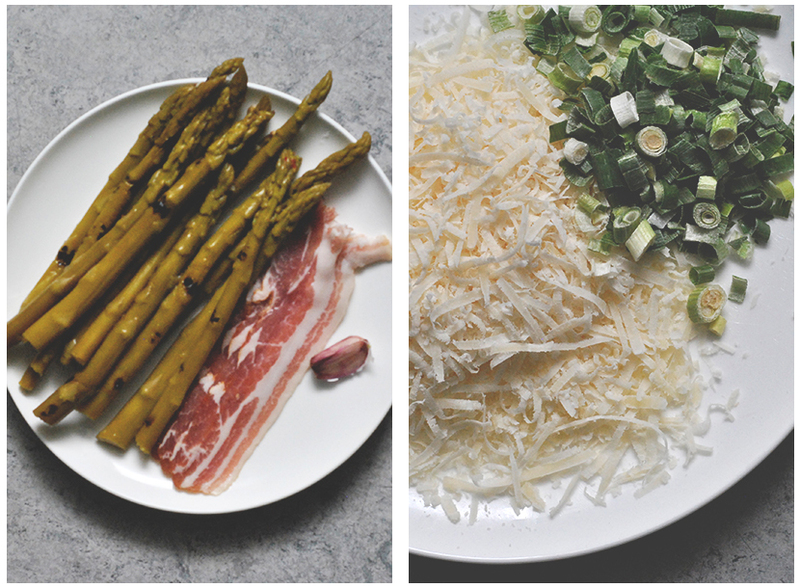 Fry bacon for 5 minutes and add the (grilled) asparagus and crushed garlic. Fry for 10 more minutes. Set aside. Grease a round baking dish or baking pan with butter and dust with a little flour. Line the oven dish with puff pastry. Line with baking paper and baking beans or pulses/rice (Note: these can not be eaten after baking, you can also bake the puff pastry without blind baking, but then it is more difficult to add the filling later on) and bake for 10 minutes. 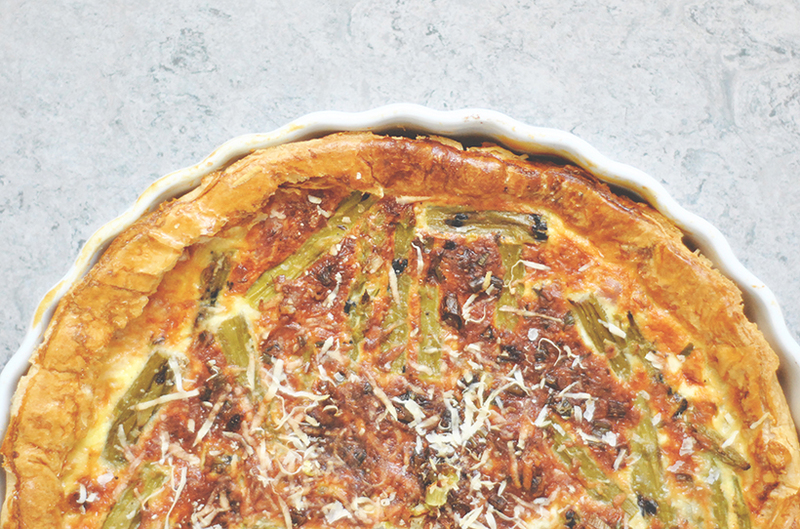 Beat the eggs and add milk, spring onion and ¾ of the Parmesan. Season with broth powder, salt and pepper. Remove the oven dish from the oven and add the contents of the skillet to the oven dish, pour in the egg mixture. Give the edges of the pastry a nice shine by brushing it with the egg mixture. Sprinkle the last part of the Parmesan cheese over the tart. Bake for an additional 10 minutes. Een heerlijk recept! Mijn gasten waren vol lof.